This one's for PC users who rejected the blue pill. World Beyond Windows is your guide to the anything-but-Windows PC universe, dishing out key news, analysis, tips, open-source software recommendations, and much, much more. Manning the helm is Chris Hoffman, a veteran technology reporter who has extensively covered Linux and Chrome OS for several publications, including PCWorld (natch), MakeUseOf, HowToGeek, and others. Why the World Beyond Windows? Simple: Windows may be found on the vast majority of PCs, but there’s more to the world of computing than Microsoft alone—and most of it is powered by Linux. There’s the wide lineup of traditional Linux distributions, of course: Ubuntu and Mint and Fedora and so many others with their varied feature sets and deep customization options that let you hand-tailor a personalized operating system truly built for you. 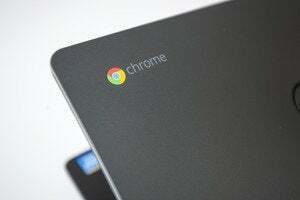 Google’s Chrome OS is revolutionizing how we think about operating systems (and web browsers, for that matter). Valve Software’s SteamOS may still be in open beta, but was born out of lofty ideals: To rip PC gaming out of Windows’ iron grip and establish a new PC beachhead in the living room. It’s already breathing new life into Linux gaming. Yes, there’s a thriving PC ecosystem out there has nothing whatsoever to do with Microsoft or Apple whatsoever, one that’s utterly teeming with innovation and downright usefulness. That’s where PCWorld’s new World Beyond Windows column comes in. Chris actually kicked off World Beyond Windows several weeks back and the column’s been gaining steam rapidly, sparking thoughtful debates in article comments and generating further discussions on Reddit and Slashdot. That’s great! Open communication is part of what makes the world beyond Windows so compelling. We want to hear what you think about each and every column we post. So bookmark the World Beyond Windows column page, subscribe to the World Beyond Windows RSS feed, and engage with Chris directly on Twitter. We’ll be posting two World Beyond Windows columns every week, usually on Wednesdays and Fridays. Don’t hesitate to let us know what you think—and which Microsoft-less topics you feel we should cover. We can’t wait to hear from you!